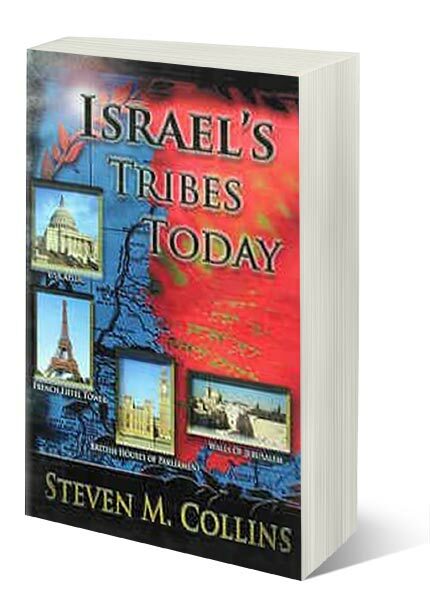 Steven M. Collins - Author "The Lost Ten Tribes of Israel"
My first book, The “Lost” Ten Tribes of Israel…Found, has been out-of-print for a considerable period of time, and many people have asked for copies of it. Due to public demand, this book is now again available for purchase as an e-book, and it is being made available at half the price of the original printed book! The original book cost $25 ($20 for the book and $5 for shipping fees). The e-book can be downloaded for a cost of only $12.99. Genesis 17:5-6 (ESV):No longer shall your name be called Abram, but your name shall be Abraham, for I have made you the father of a multitude of nations. I will make you exceedingly fruitful, and I will make you into nations, and kings shall come from you. Some maintain that the Khazars were non-Israelites who, en masse, accepted Judaism and became the forebears of the Ashkenazi Jews of Europe. This viewpoint tends to disenfranchise Ashkenazi Jews as “legitimate” Jews from the tribe of Judah, and it is historically inaccurate. This viewpoint assumes: (A) all Khazars were gentile, (B) all Khazars accepted Judaism and © no members of the house of Judah were already living among the Khazars Khazars and the Modern Jews. 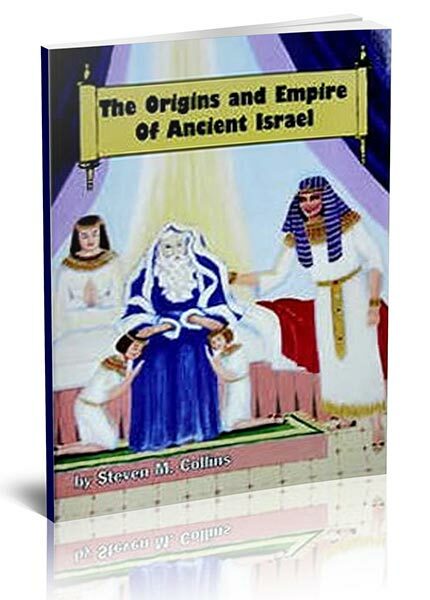 The books, articles, and audio messages at this website make it unmistakably clear that the USA, the UK and its affiliated British nations as well as many European and Scandinavian nations are the modern nations which have descended from the ancient ten tribes of Israel (i.e. the “House of Israel”) who went into exile. This conclusion is backed by irrefutable biblical and secular evidence. However, there is a significant number of people who when they learn this truth, become anti-Jewish and deny that modern Jews/Israelis are the true biblical House of Judah. 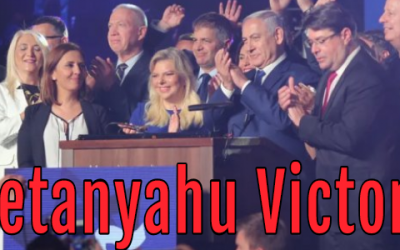 This article makes it abundantly clear, based on both clear biblical and secular/historical evidence that today’s modern Jews/Israelis are the latter-day biblical House of Judah. The issue of the Khazars is addressed in this article. If you have any doubts that modern Jews are the true House of Judah, please read this article. Four Reasons the Jews are Judah. Do you realize that the modern banking system had its origins in the sun-god temples of ancient Babylon? This is well-documented in secular histories, and it explains why God calls our modern world financial system “Babylon the Great” in Revelation 17-18. This article will make ancient biblical narratives “come alive,” and also shed much light on what is now happening in our modern global world of finance. 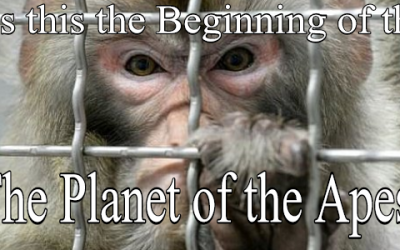 What Kind of Captivity. Most Christians mistakenly think the Bible teaches the earth is 6000 years old, even though Genesis 1:1-3 relates the earth and its oceans were already here before God began Creation Week. This article reconciles the scientific community’s assertions about a pre-Adamic dinosaur world with the accounts of the scriptures which allow for the earth to be millions or billions of years old. Genesis 1 describes God’s re-creation of life on earth after the pre-Adamic world of the dinosaurs was wiped out with an Extinction Level Event (putting the scriptures in harmony with science!). Is the Earth 6000 Years Old. Ezekiel 38-39 prophesied over 2500 years ago that Russia, China and Iran would form an anti-western alliance and that they would attack the western nations in an age-ending World War III. The Bible was precisely accurate in its prophecy about their alliance forming so you can rely on the rest of this prophecy to be accurate. This link offers a research report on how Ezekiel 38-39 foretells World War III will start and how it will end. What Ezekiel 38-39 Reveals About a Future World War III. SHOULD CHRISTIANS PREPARE FOR HARD TIMES? Many Christians understand that we are living in the biblical latter days and that many prophecies warn that very challenging and difficult times lie ahead of us. Should Christians simply “have faith” and rely on God to do everything to protect them in the future or should they make prudent preparations for these prophesied hard times. This article examines the subject from a biblical perspective and gives a clear answer to that question. Should Christians Prepare for Hard Times?. ARE WE LIVING IN THE BIBLICAL - LATTER DAYS? The Bible has many prophecies about a climactic period to our age called the “latter days.” These prophecies are specific and confirmable, and modern events have come to pass exactly as the Bible foretold millennia ago. For so many prophecies about the latter days to come to pass at the same time in our age confirms that there is a Creator God and that the Bible is his inspired word to mankind. This article will increase the faith of all believers and severely challenge the doubts of those who are atheists and biblical skeptics. Are We Living in the Biblical “Latter Days? IS BABYLON THE GREAT ABOUT TO FALL? Revelation 17-18 prophesy that the current globalist corporate-political system will collapse in the latter days and be replaced by a new global “beast” system. Our current system almost collapsed in September, 2008 so this prophecy could be fulfilled soon. The report at this link will examine how this prophecy could be fulfilled and how it could affect you. Is “Babylon the Great” about to Fall. If I were to ask you what Old Testament prophet is known as the “disobedient prophet” or the “prophet with a bad attitude,” many would instantly reply that the prophet was Jonah. Jonah was unquestionably disobedient to God’s initial command to go to Nineveh, and the book of Jonah does end with Jonah in a deep funk regarding the outcome of his prophetic mission. Jonah the Misunderstood Prophet. The Two Witnesses are prophesied in Revelation 11 to apparently be the most powerful prophets of God who have ever walked the earth. The miracles they will do, the length of their ministry and how their period of service will end is all revealed in the Bible. Biblical prophecy also reveals there will be an evil “twosome” (the beast and false prophet) who will be popular global figures and they will do miracles as well in the latter days. Will you be able to tell the difference between them? Don’t be so sure as the Bible warns the vast majority of the world will be deceived into thinking the evil twosome is not evil at all! You need the information in this report to understand God’s Word about these competing twosomes before they emerge on the world scene in our future. The Two Witnesses. God promised to multiply the ten tribes of Israel after their exile (Hosea 1:10 ), to not forsake them (Jeremiah 51:5 ), and Genesis 49 offers clues to locate them in the latter days. Biblical clues and much secular evidence make it possible to trace the migrating ten tribes throughout history. 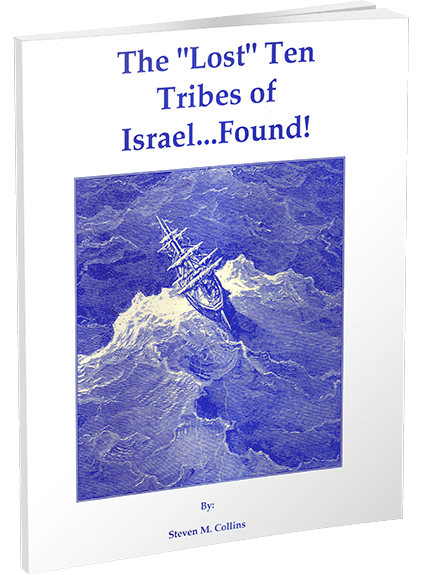 You may learn the main points of my books on the ten tribes by listening to these free audio messages about the forgotten history of the ten tribes of Israel. 1st MP3, 2nd MP3 To hear these messages in Messianic/Sacred Names format, you are invited to listen to the following two audio links: The Forgotten History of the Ten Tribes – The Ten Tribes of Israel in Prophecy These two audios come from the Restoration Conference held in Portland, Oregon 2007 by Steven Collins. The book of Revelation begins with a message from Jesus Christ to the “Seven Churches” of latter-day Christianity. These prophesied churches have deep differences in doctrine, organizational structure and spiritual temperaments. In this 57-page PDF, Mr. Collins presents substantial evidence that these seven prophesied churches can be identified and found among the broad denominations and ideologies of modern Christianity. Jesus Christ has both compliments and strong warnings to the latter-day churches about their spiritual conditions, and there are major surprises when one literally applies Christ’s messages to the denominations of modern Christianity. See how the prophecy of Revelation 2-3 literally has been fulfilled by modern Christian denominations. 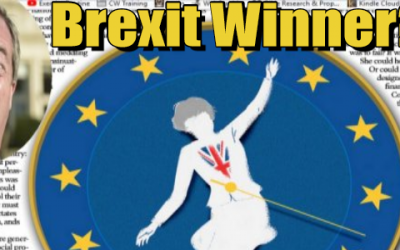 Right-click here to download the PDF. HOW MANY WILL GOD SAVE? Christians generally assume that the unsaved either are tormented forever in “hell,” or are annihilated into non-existence in a final lake of fire. However, there is another alternative outcome for the unsaved that is found in scriptural teachings, especially when one key Greek word is translated literally and consistently in afterlife contexts. The Bible also teaches that God has a plan of ages involving mankind on earth and that there is more than one resurrection. This controversial audio message offers an entirely new (and encouraging) perspective on afterlife issues. Click here to play an MP3 of this one-hour audio message (27MB). This is a topic that is of great interest to some and little interest to others. Whichever category you are in as a reader, I think is important for you to understand this topic from a biblically based perspective, as you will almost surely come into contact with Christians who have strong feelings about this topic. At the outset, I want to state that I do not consider myself to be the “last word” on this matter, but I will set forth viewpoints in this article that are as solidly based in biblical scriptures and teachings as I can make them. I have known believers who are on opposite poles of the spectrum of belief on this subject and many who are anywhere in between in their beliefs or interests in the subject of speaking in tongues or glossolalia. I have friends who have zero interest in ever being around anyone who manifests any hint of glossolalia and I have friends who claim to speak in their own personal “prayer language.” The subject of speaking in tongues and what was valid or dangerous about this trait was a very large issue in Paul’s original apostolic churches. Paul wrote a great deal of guidance on this topic, and I think we would do well to heed his teachings about this topic and look to them as authoritative as they are in the New Testament Canon. Let’s begin. Right-click here to download the PDF. 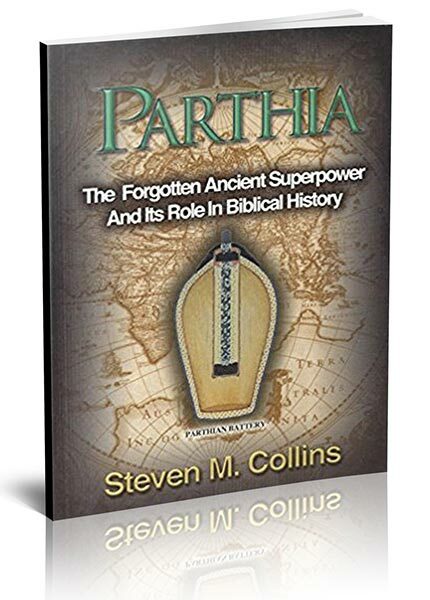 This Pastor Butch Paugh interview with Steven Collins focuses mostly on the USA in biblical prophecy and the history of the ten tribes of Israel. This new radio interview on a “prepper” radio/blogtalk network was aired live on March 17, 2011. The first 45 minutes examine “prepper” issues, and the remaining 75 minutes include the interview with me. A DVD documentary movie about this Decalogue Stone has finally been produced by David Coatney, and it has now been released to the public. Very good book. 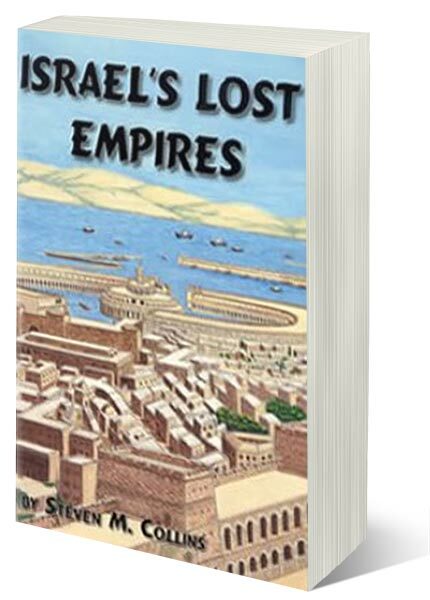 It has helped me better understand Israel’s allies in the biblical times and what made them great, and it showed how big the nation of Israel got before its fall from grace. It is a excellent read and very hard to put down. – Cameron R.
History has left out the rival of the roman empire. Which helps explain why the romans stopped at the black sea. And why pilate washed his hands of the trial. This explains where two million caucasians appeared suddenly. the history of parthia. – Michael L.
The reward of the saved includes kingship in Jesus Christ’s government during his millennial reign (Revelation 20:4Open in Logos Bible Software (if available)). This is a vague concept to many Christians, and many do not realize that Jesus Christ gave specific “pass-fail” requirements that Christians must meet in this life to be given rulership privileges in the millennium. Those requirements are not well-understood, and this one-hour audio message details those requirements (which some will find surprising!). This message was given to a Sabbatarian audience during the Feast of Tabernacles in 2003. It may include terminology unfamiliar to some listeners, but the material will be very understandable to Christians of any denomination. This message includes some intense material drawn from my personal experiences in the 1980s when I spent much prolonged time meeting the wounded “sinners and publicans” of this world—the people Christians will first rule in the millennium. After hearing this message, you will have a much clearer grasp of whether you have the character and attitudes necessary to be “ready to rule” according to Jesus Christ’s biblical requirements.